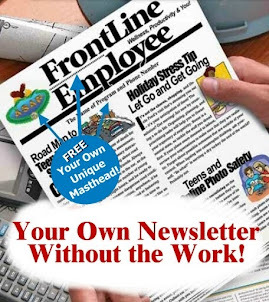 Employee Assistance Programs Blog: America's First and #1 EAP Blog*: No Mention of EAP's True Role Anymore--Why? In the 1970's, "employee assistance programs" and their role in the supervisor referral process to help identify troubled workers and reduce enormous and varied costs associated with workplace drug abuse would have been front and center in an article on the subject. This recent article Kentucky's "The Lane Report", "Abusing the Bottom Line: State's Drug and Alcohol Misuse Rates Highlight the Need for and Value of Good Workplace Policies" omits any notion of this critical application of EAP theory. 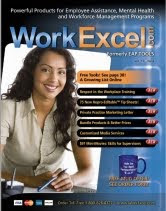 The areticle appeared in the May 2012 issue. It was written by Lorie Hailey. Ms. Hailey is the publisher of the The Lane Report and has been there since March 2012, approximately. The fascinating question is, "What was her research path to develop the content for this feature?" Ms Hailey is a writer, not an EAP expert, so she had to rely upon experts who gave her leads and contacts so she could interview or gather information. Where to go or who to call upon for expertise and content is an important question. 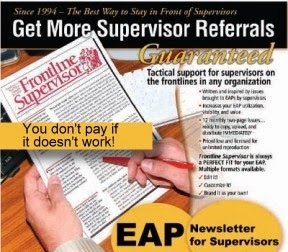 I can see from the content of this article that an EAP is pointed to as only a self-referral help source. How is it possible that EAPs don't enter this story with their history of performance based intervention success? What are the implications for the this article only educating readers about EAPs being a source of help, not a management tool to preserve the bottom line. It is important not to simply shake each others' hands at EAPA conferences and slap each other on the back, while we discuss how wonderful things are going for the EAP field. This article should tell you they are not. This benefit-only paradigm is a major issue undermining effective growth of employee assistance programs, salaries of professionals, reduction in risk, and it is costing lives. I can rattle off many effective EAPs that have closed their doors this year because financial controllers saw a way to cut them for a less effective EAP model. This article and its omission of the true EAP role in helping substance abusing employees is a commonly observed symptom of a problem facing the EAP field. It should be analyzed, debated, and its solution addressed. If you represent an effective provider of employee assistance programs in Kentucky, you may want delve deeper into this amazing observation and important story. You may learn much from Ms Hailey that could point to solutions the EAP field may wish to consider. Oh, don't blame Ms. Hailey. Blame us.